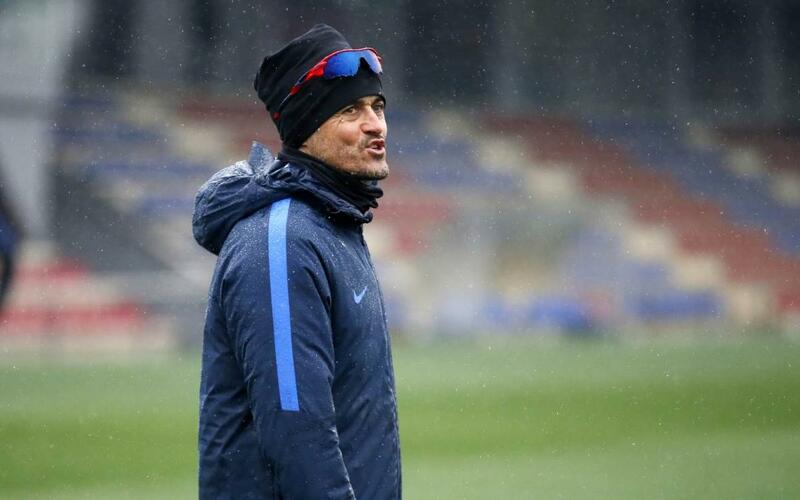 Luis Enrique appeared before the press on Wednesday in his traditional press conference ahead of the return leg of his team’s quarter-final tie against Real Sociedad and showed himself to be cautious despite the 1-0 advantage from the first leg in Anoeta. The txuriurdin are always a tough proposition according to the former Barça midfielder. “Real [Sociedad] play the same way at home and away; they put pressure high up the field and that is something we will have to take into account if we are to go through,” reasoned the man from Asturias. For the Barça coach the absences of Andrés Iniesta, Sergio Busquets and Rafinha in midfield is something that the team can deal with. “I have plenty of options,” revealed Luis Enrique before resisting temptation to make public who would replace Busquets in the centre of midfield. After four wins on the trot, the blaugranes are in the midst of an excellent run and that will have to continue if they are to make it to the semi-finals. “The Copa del Rey is an attractive competition and it has great memories for us,” he added.